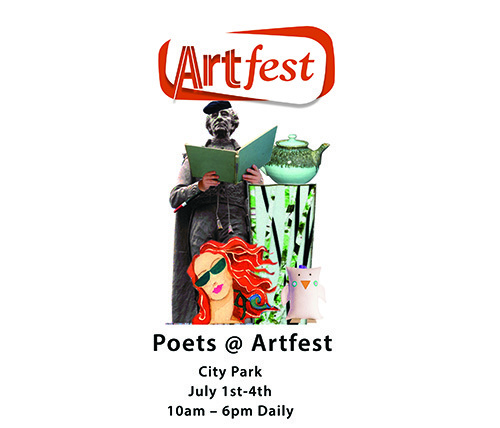 This year marks the launch of a specific 4-day poetry site, 'Poets @ Artfest', as part of Artfest Kingston 2015. The poetry tent will be open 10am-6pm daily with scheduled readings three times a day. Located close to the main concession area and the Artfest Kingston information booth, the tent will house a small and revolving selection of books. The hour between reading sessions allows some time to chat with the incoming and outgoing poets and a chance to browse the books and merchandise. Posted on June 30, 2015 by Lory MacDonald and tagged Poetry Reading Artfest Kingston Artfest.